Wed., July 5: Hitchcock’s earliest British films, including “The Ring” (1927) and his first sound feature, “Blackmail” (1929). Fri., July 7: Includes Hitchcock’s original 1934 version of “The Man Who Knew Too Much” and “The 39 Steps” (1935). Hitchcock’s 1944 wartime shorts “Aventure Malgache” and “Bon Voyage” will also be shown. Wed., July 12: Includes “Rebecca” (1940, Hitchcock’s first feature in the United States), “Foreign Correspondent” (1940) and “Mr. and Mrs. Smith” (1941). Fri., July 14: Includes “Shadow of a Doubt” (1943), “Lifeboat” (1944) and “Spellbound” (1945). Wed., July 19: Includes “Rope” (1948), “Strangers on a Train” (1951) and “Dial M for Murder” (1954). Wed., July 26: Includes “Vertigo” (1958), “North by Northwest” (1959), “Psycho” (1960) and “The Birds” (1963). Fri., July 28 (Finale): Includes “Marnie” (1964), “Torn Curtain” (1966) and Hitchcock’s final feature, “Family Plot” (1976). Free interactive course on Hitchcock! TCM has partnered with Ball State University and Canvas for another summer online classic film course, which will be focusing on Alfred Hitchcock and his films. The free course will be taught by Richard L. Edwards, Ph.D., the executive director of Ball State’s iLearn Research program. You do not have to have TCM to take the course. The TCM/Ball State/Canvas Hitchcock online course will take place near the end of July and will conclude in August. If you are a fan of Hitchcock and his films or if you would like to learn more about “master of suspense,” you will not want to miss out on Turner Classic Movies’ salute to Alfred Hitchcock! Highly recommended for fellow classic film fans who enjoy classic mystery and suspense features. Can’t get enough of Hitchcock? Tune in to (or record) Hitchcock’s 1955-62 half-hour television series, “Alfred Hitchcock Presents” on Me-TV. Me-TV currently airs two back-to-back episodes, weeknights at 1 a.m. Eastern/Midnight Central. 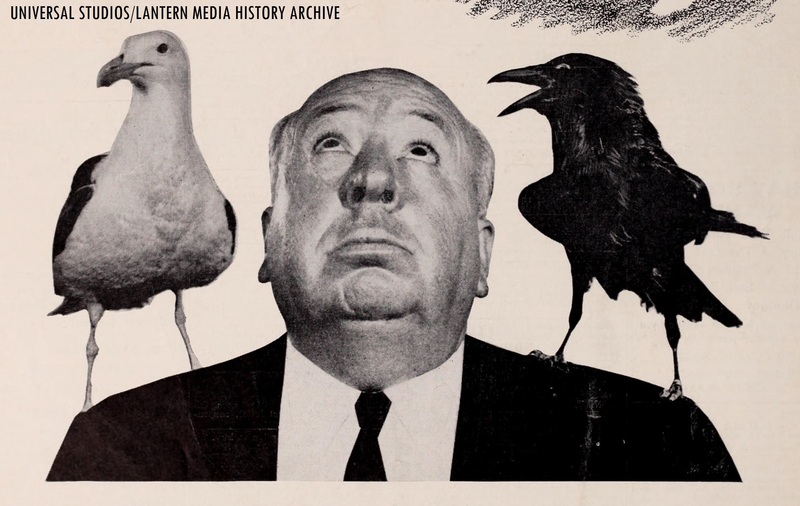 Hitchcock’s program was expanded into an hour-long series from 1962-65, known as “The Alfred Hitchcock Hour,” which airs Sundays at 4 a.m. Eastern/3 a.m. Central on most Me-TV affiliates. Me-TV’s Coast-To-Coast Affiliate Finder (for fans of “Alfred Hitchcock Presents” and “The Alfred Hitchcock Hour,” Me-TV can be seen locally on WTTG 5.2/Comcast 196 in Frederick, Maryland and Washington, D.C.; WBAL-TV 11.2/Comcast 208 in Baltimore, Maryland and WGAL-TV 8.2/Comcast 248 in Hanover, Gettysburg and York, Pennsylvania). Questions/Comments about Alfred Hitchcock, his films, his TV series or the upcoming salute on TCM? Drop a line at the comments section!